Get ready for a wild ride! A missing wedding ring incites a wild-goose chase involving meth heads, a vengeful husband searching for his long lost wife, and a down on his luck Elvis Impersonator. 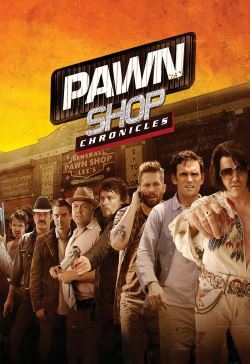 All three stories explosively collide at one small-town pawn shop. Features a star-studded cast that includes Paul Walker (THE FAST AND THE FURIOUS FRANCHISE), Academy Award®-nominee Matt Dillon (CRASH), Elijah Woods (THE LORD OF THE RINGS FRANCHISE), Brendan Fraser (THE MUMMY), and Norman Reedus (TV’s THE WALKING DEAD).